Venus Sagittarius loves being free to act on the impulse of the moment. Many are happy singletons, who have lots of friends, some with benefits. The Archer lover is very physical, curious, and adventurous. They are turned off by cynicism but are themselves known to make wry, often insightful comments. They are attracted to authenticity, honesty and a vigorous love for life. Even if this is a short-lived affair, it'll be thrilling and memorable. Both of you are high energy and spontaneous fire signs, for carrying on into the night. Venus Aries is fully candid and has a take me or leave me attitude, that's a turn on for Venus Sagittarius. Some conflicts come up when the Archer lover doesn't see the Ram romancer as the end all, be all. The Sagittarius desire to keep things open messes with Aries' ego, and might be a deal breaker. The latter is roused to jealousy and may for a time, enjoy chasing after Venus Sagittarius. But if it begins to look futile, the Ram backs off, as they don't tolerate unrequited love for too long. Sagittarius and Taurus are signs with a strong physical presence, strong libidos, and indulgent natures. Life is an adventure, but Taurus is slow and a planner, while Sagittarius leaps before they look. This goes wrong quickly, if true to type, Sagittarius is in it just for fun, and Taurus is looking for something enduring. The initial attraction is strong, as both are lusty lovers. The Taurus lover is more touchy, though, and might find the Sagittarius lover too quick to rush to the deed. Taurus is all about the sensual and dwells on touch and intimacy both before and after. The jumpy Sagittarius is at odds with the chill Taurus, and that makes this a challenging match. Though they're opposite signs of the Zodiac, Gemini and Sagittarius are both buzzy and curious. They make great friends, and that can lead to something more. One big difference is what they talk about, and if they're on the same wavelength. Gemini might be too scattered and random, for Sagittarius, who prefers action to talk -- unless it's ideas that widen their world. Venus Gemini finds it hard to get out of their head and may keep talking in the sack. They share a light touch with affection, and enthusiasm for novelty, and that's a good start. These lovers have a different idea of bliss, one has an open door to the world, the other is more cloistered. Cancer lovers are emotionally sensitive, and Sagittarius has been known to be a friendly, but lightly bonded character. This is a recipe for disaster unless other astro-factors are in play. The Cancer lover wants to be protected in an intimate, familiar homey environment. Meanwhile, Sagittarius in its Venus aspect is a lover restless to constantly roam and seek. Without meaning to, the Sagittarius sends a devil-may-care attitude about the relationship, and the careful Cancer interprets this as not caring. The Cancer lover clams up or the Archer recoils at all the feelings, and then it's adios. This has the makings of big love, but the Leo pride demands something Sagittarius may not be able to give -- devoted loyalty. The jovial pair though, has a lot of laughs together, from the outset. Will Leo feel special, or will Sagittarius innocently commit a faux pas and reveal they have lots of good friends. Both signs are stubborn and don't admit to being wrong. If the conversation gets edgy, only laughing at yourselves will set it right. These lovers meet on an angle astrologically, so there's always friction with this love match. On the other hand, both of you are adaptable and into physical refinement. You might have a shared purpose, and that helps to bridge the gap. The Virgo lover finds Sagittarius reckless, the latter finds the former too self-controlled. Venus Virgo is spontaneous with love, only if the place is tidy and you're both properly bathed. Both are signs that need lots of space, while one tends to be the hermit (Virgo), and the other needs space to mingle (Sagittarius). The witty repartee here is a fun start. Both like to check out what's new culturally, out there, and also to be seen. But Libra wants her lover's undivided attention, and that's when things get tricky. She also wants to be admired and will react to how she's treated. Poor Libra might take Sagittarius' flirtations with others very hard, as a judgment on their own worth, attractiveness, etc. The Libra lover is a serial monogamist at heart. And they seek steady partners to share everything with. Meanwhile, Sagittarius finds what he needs socially in many different people. If Libra catches the Archer when he's ready to settle down, that's a different story. One is an open book, the other (Scorpio) is secretive. Both know things and enjoy sharing intel, to impress the other. You could see Sagittarius as a Scorpio without the filter. They both admire straight-forward honesty and gain marks there. The Scorpio lover is an all or nothing kind of guy or gal. That's a big contrast to Sagittarius who spreads the sunshine around. However, a Sagittarius that's ready to commit is loyal, and don't forget, there's the rest of the chart to consider. 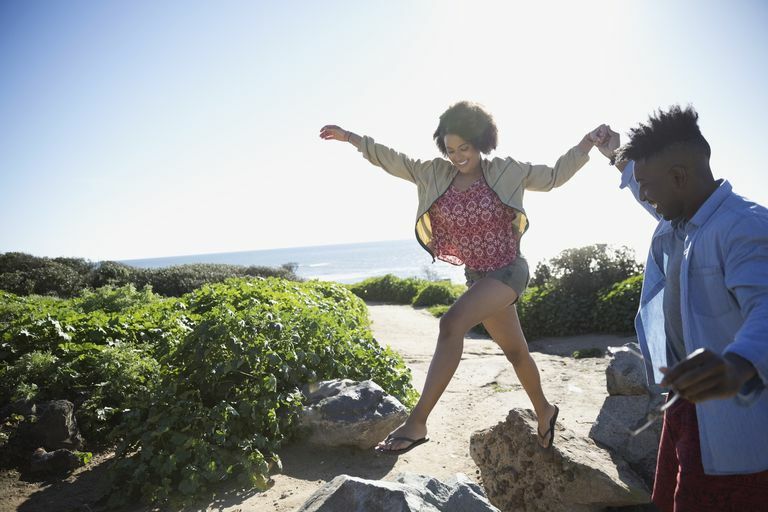 With this shared Venus sign, you have similar instincts in love and friendship. You like to start out as friends, simply hanging out, and seeing how it goes. You relax, knowing you've got plenty of freedom, and paradoxically, that can warm you up to something ongoing. You both love to travel and might be one of those couples that make a living doing it. You might get into competitive sports together, cheering each other on. You're also both eternal students and seekers, for great philosophical debates. And of course, you're both star athletes in the boudoir. From the get-go, we have a red flag. The Capricorn lover wants stability and someone who is a rising star in their field. Of all the Venus signs, they're more likely to ask, what do you do for a living? The Capricorn attraction in love is to those who are mature, responsible and in some cases, come from the 'right' family. With Sagittarius, you've got a free-spirit who is attracted to other free spirits. These Venus signs have something the other needs, and that could instinctively bring them together. Both like to think about the larger world, and could find common ground in a shared purpose. This could be one of those on again, off again friendships (or more). Both signs are unconventional in love, and also make sudden changes. It's all about timing, whether it's lasting. If both have sown their wild oats, that ups the odds. Sagittarius and Aquarius are future-oriented, always leaning into the horizon. They're also big on ethics, and being open about intentions. Things only go wrong if mixed messages are sent, or if one is hiding a big secret (which is possible). Chances are, the relationship will unfold within a wider group of friends, with these very social signs. The Pisces lover wants to meet in a sheltered atmosphere, while Sagittarius is a free-range lover. Pisces feels pulled in too many directions and is overwhelmed. And yet, both are playful and share a ruler in Jupiter, the planet of serendipity. This match also runs into the problem of sensitivity, since Pisces is a sign of big feelings, to the point of absorbing others energies. Pisces needs a lot of retreats, just to maintain sanity. Both are visionary signs, and much will depend on the current picture they see.